"This is a sweet and simple book. 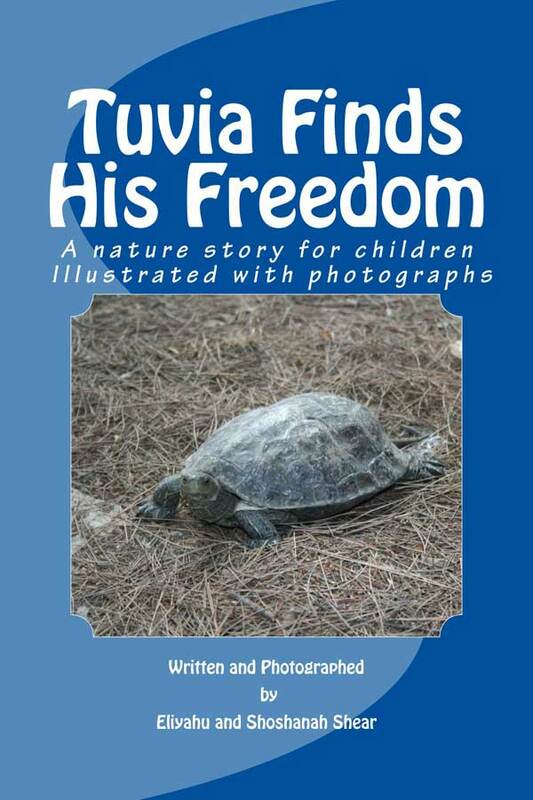 It tells the story of a couple finding a tortoise, looking for its owner, and setting it free. Throughout, the simple language encourages the ideas of kindness and responsibility, as the couple try to return a lost possession, seek out how to care for another living being, and comply with the law. The story is clearly autobiographical, and the authors don't shy away from the role of adults giving moral guidance to children. Photographs illustrate the story. One complaint I have is that the text says the photograph sow that the tortoise is sad, or in another place that he is smiling. The idea is nice, but I don't think Tuvia's facial expression, which is pretty bland anyway, has anything to tell us about his inner state. 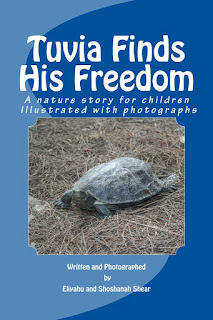 This story would probably work best as a read-aloud, so that children and adults together could discuss the ideas of what animals feel and what our obligations to them are."